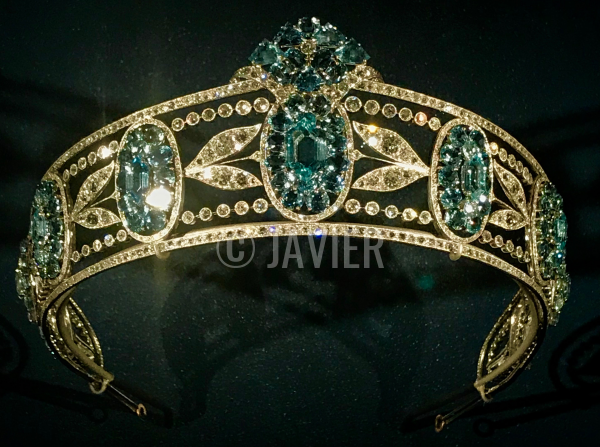 The incredible exhibition of Cartier jewels currently on display in Australia is a treasure trove of glittering enjoyment. 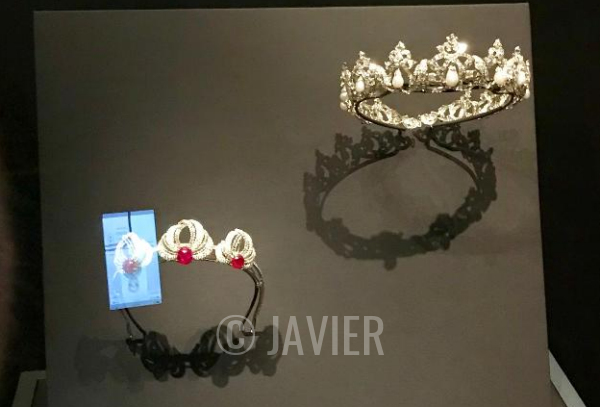 After our media preview here on the blog, I heard from several of you that you'd been able to attend. 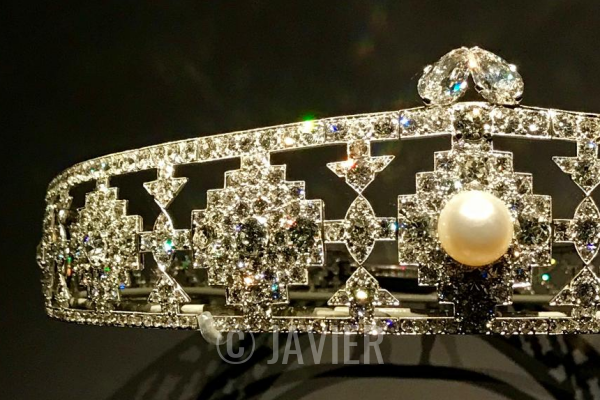 Lovely reader DeluxeDuck was kind enough to send along numerous fantastic photographs from the exhibition, allowing those of us across the world to peek inside. 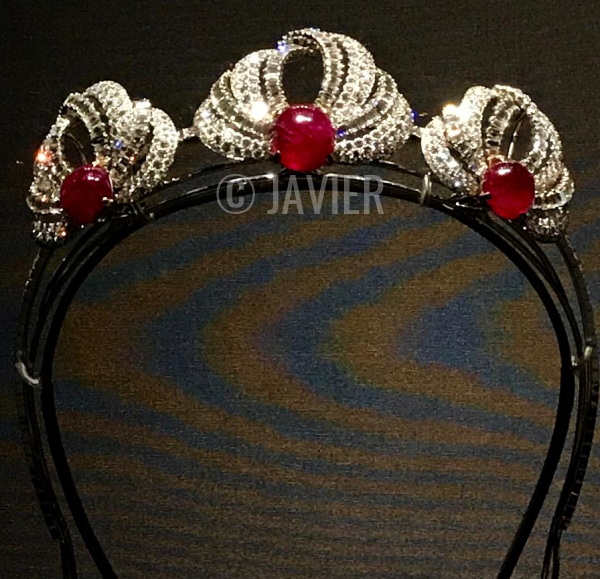 Today, I'm so thrilled to be able to share the first of two posts featuring DD's fabulous photos from the show. 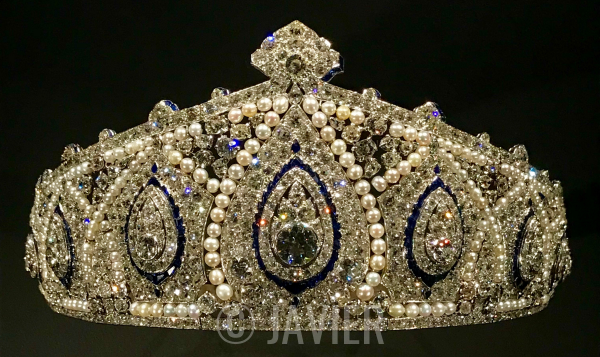 This post focuses solely on the magnificent tiaras on display; the next post will feature additional non-tiara pieces. 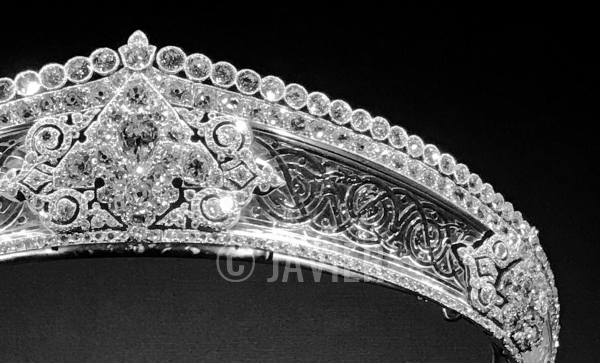 At the top of the post, we've got a peek at the de Gunzberg Tiara, made for Baron Pierre de Gunzberg in Paris in 1912. 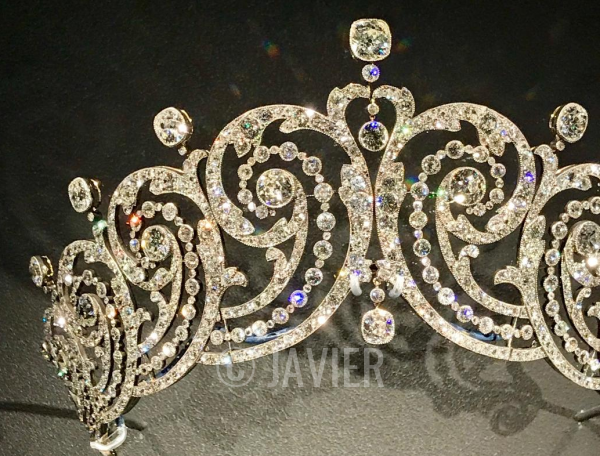 The impressive kokoshnik-style tiara is made of diamonds, platinum, and intricately-carved rock crystal. 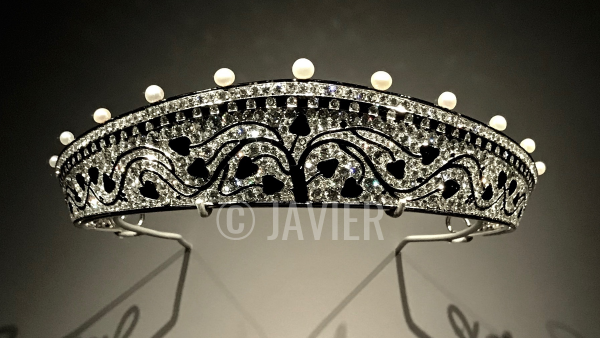 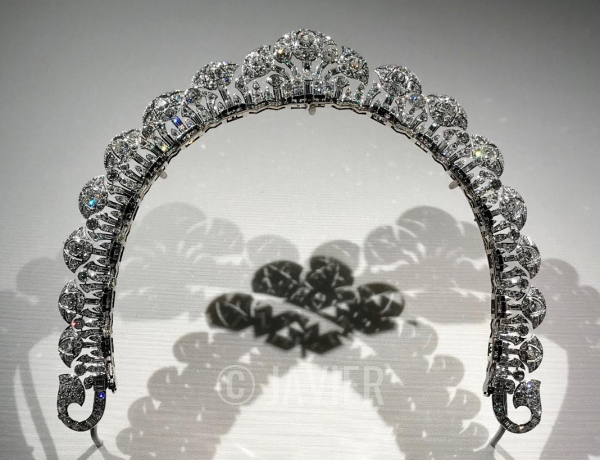 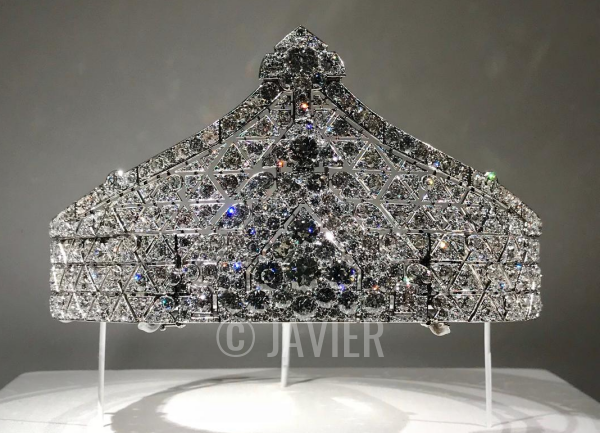 The ruby and diamond Bains de Mer Tiara, one of the wedding gifts presented to Princess Grace of Monaco, is shown as well; you can read more about it here! 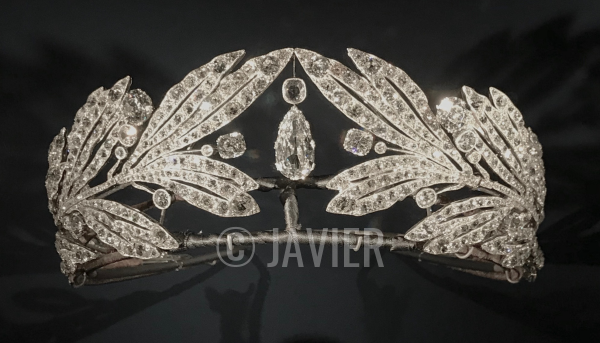 Also on show: the diamond and pearl drop tiara that belonged to Grace's mother-in-law, Princess Charlotte, Duchess of Valentinois. 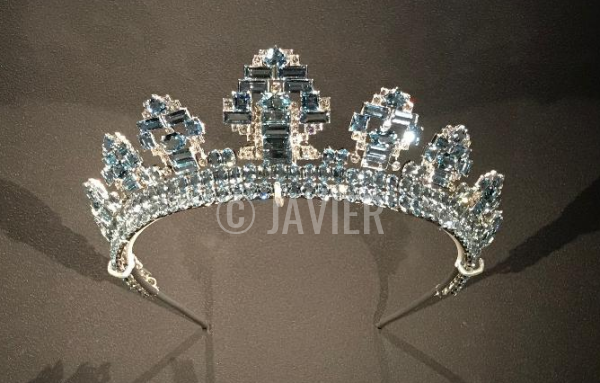 The tiara was made for Charlotte around 1949. 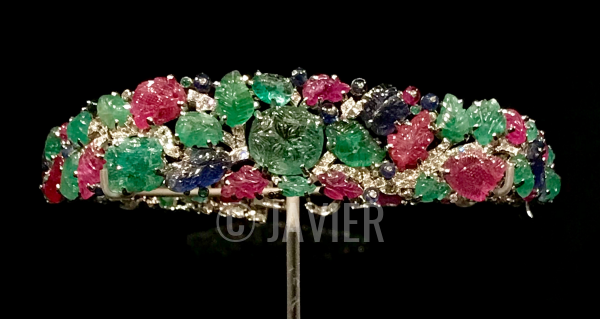 This striking tutti frutti bandeau, featuring carved rubies, emeralds, and sapphires set with diamonds in platinum, belonged to Edwina, Countess Mountbatten of Burma. 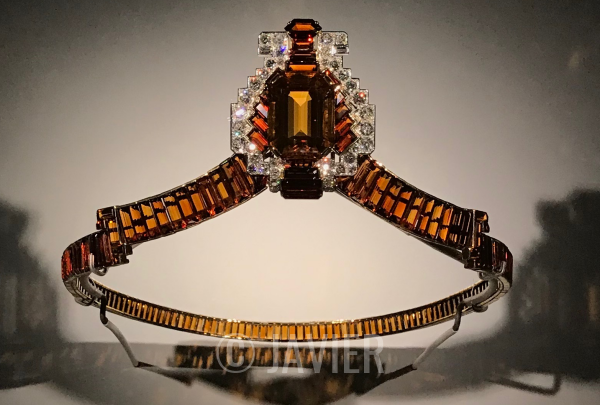 Made in 1928, it can be dismantled to form a pair of bracelets.